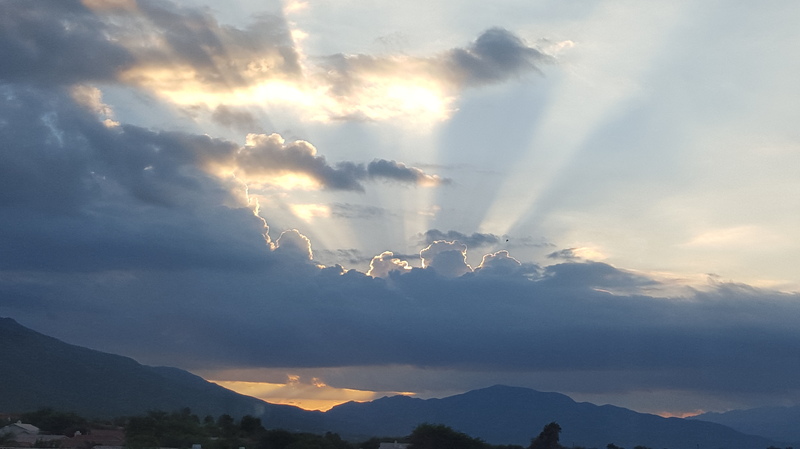 Santa Fe, NM — Escape with your imagination to a world beyond the clouds in this magical concert for string orchestra. Brazilian-born violinist Cármelo de los Santos and Santa Fe Pro Musica concertmaster Stephen Redfield will join together to perform J.S. Bach’s beloved Concerto for Two Violins and Anna Clyne’s mystical Prince of Clouds with the Santa Fe Pro Musica Orchestra. The ensemble will provide even more color and contrast, performing British composer Edward Elgar’s warm and inviting Serenade for Strings and the dramatic Symphony for Strings, Op. 118a by Dmitri Shostakovich. Experience the visionary! Discounts for students, teachers, groups, and families are available exclusively through the Santa Fe Pro Musica Box Office. Meet the Music: Learn more about the music you love! Thomas O’Connor, Santa Fe Pro Musica Conductor will present a “behind the scenes” discussion of the music one hour prior to each concert at the Lensic before each Orchestra concert – Free to ticket holders. Between 1717 and 1723, Bach was employed by Prince Leopold of Anhalt-Cöthen, a music-loving nobleman whose orchestra was considered the finest in Europe. However, the prince was Calvinist and did not use elaborate music in his worship services, and accordingly most of Bach’s music from this period was secular music for court events. During this tenure Bach created much of his best instrumental music including solo concertos, the six Brandenburg Concertos, the four orchestral suites, and the great solo works for violin and cello. Bach was interested in the Italian style concerto, and incorporates important Italian baroque concepts in his Concerto for Two Violins, including the three movement model of fast-slow-fast tempos, and the use of sequences and contrast between full orchestra (ripieno) and his solo group (concertino, in this case, the two violins). London born and Grammy-nominated composer Anna Clyne currently resides in the United States (New York, Chicago). Her work, described as “dazzlingly inventive” (Time Out New York), is often inspired by her collaborations with cutting edge choreographers, visual artists, film-makers and musicians. She was the Chicago Symphony’s Composer-in-Residence for the 2013-2015 seasons. Riccardo Muti (Music Director, Chicago Symphony) applauds Anna Clyne as an artist who reaches across all barriers and boundaries. Her compositions, though difficult enough to require skilled musicians, are accessible to audiences of all backgrounds. Prince of Clouds was co-commissioned by the Chicago Symphony Orchestra, IRIS Orchestra, Los Angeles Chamber Orchestra and the Curtis Institute of Music to complement Bach’s Concerto in D Minor for Two Violins. It was nominated for a 2015 Grammy Award for Best Contemporary Composition. Elgar is considered one of Britain’s greatest composers. He was born in the lovely Malvern Hills in southwestern England and his deep love of nature is a strong influence on his work. He was also a violinist and for many years he earned a large part of his income playing in orchestras. The genesis of the Serenade for Strings was probably a reworking of the (now lost) Three Pieces for String Orchestra (1888). In 1892 Elgar reinvented the basic material as the Serenade, written to celebrate the third wedding anniversary of the composer and his wife Alice, “his chief prod, critic and inspiration ” (Richard Rodda). Submitted for publication in 1892 but deemed “unsalable,” the Serenade is now one of Elgar’s best known and beloved scores. Shostakovich is now considered one of the greatest composers of the 20th century. “All his works are marked by emotional extremes – tragic intensity, grotesque and bizarre wit, humor, parody, and savage sarcasm” (Michael Kennedy, Oxford Dictionary of Music). However the String Quartet No. 10, Op. 118 (1964) from which the Chamber Symphony for Strings, Op. 118a is arranged, is comparatively relaxed in tone. The first movement is an unhurried quiet dance like “a shadow or memory.” The second movement is an aggressive march. There follows a hymn-like passacaglia (variations over a repeating bass line). The finale, the longest and most elaborate movement of this quartet, starts as “one might imagine a dance done in slippers.” At the climax Shostakovich brings back the passacaglia theme from the third movement. Once the crisis point is passed, the dance comes back and the music dissolves (Paul Griffiths, 2012). The arranger Rudolf Barshai (b. 1924) is an award-winning conductor, violist, and one of the leading interpreters of 20th century Russian music. He was a student and life-long friend of Shostakovich, and with the composer’s approval, made orchestral arrangements of four Shostakovich string quartets, nos. 3, 4, 8 and 10. 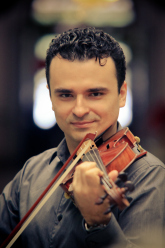 Brazilian-born violinist Cármelo de los Santos enjoys an exciting career as a soloist, chamber musician, and pedagogue. From his extensive concerto appearances to his recent performances of the 24 Caprices by Paganini, his virtuosity and musical commitment captivate audiences worldwide. At the age of sixteen Cármelo gained celebrity status in Brazil by winning its most prestigious music competition, the Eldorado Prize, in São Paulo. Since then he has been a guest soloist with more than 40 orchestras.Cármelo has won prizes in several international competitions, including the first prize at the 4th Júlio Cardona International String Competition (Portugal), first prize at the Music Teachers National Association (MTNA) Collegiate Artist Competition (USA), and second prize in the Young Artist International Competition (Argentina). As a chamber musician and a soloist, violinist Stephen Redfield has performed throughout the United States and internationally. He has been particularly devoted to the choral-orchestral repertoire. 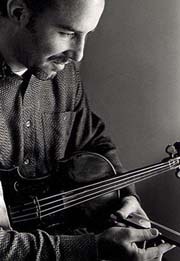 A long-standing participant in the Oregon Bach Festival, he has been featured there as concertmaster and principal, and he has participated in numerous recordings, including the Grammy Award-winning disc “Credo.” Stephen is concertmaster of the Santa Fe Pro Musica, the Arizona Bach Festival and the Conspirare Company of Voices. Since 1992, he has performed with the Victoria Bach Festival as concertmaster and soloist; these concerts have been produced on discs and broadcast nationally. Stephen teaches violin and chamber music at the University of Southern Mississippi School of Music. Santa Fe Pro Musica, founded in 1980, is a non-profit performing arts organization dedicated to inspiring and educating audiences of all ages through the performance of great music. Pro Musica performs a varied repertoire, covering four centuries of music on modern and baroque instruments, including works for chamber orchestra, small ensemble and large-scale works for orchestra and chorus. In 2008, Pro Musica’s recording of Gustav Mahler’s Das Lied von der Erde (chamber arrangement by Schoenberg) was nominated for a GRAMMY® award in the classical category of Best Small Ensemble Performance. In August of 2012, Santa Fe Pro Musica Recordings produced a CD of Conrad Tao, pianist, performing Mozart Piano Concertos No. 17 and No. 25. 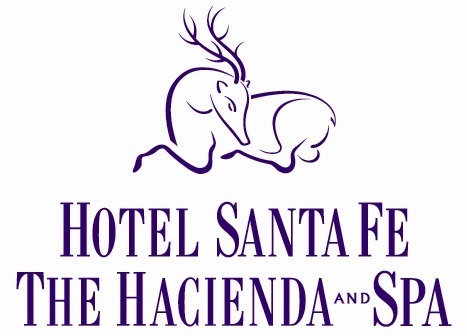 In addition to gaining national recognition over its 32 years for its artistry in performance, Santa Fe Pro Musica offers some of the most distinguished educational opportunities in northern New Mexico, reaching thousands of students every year with a Youth Concert series, a team-building, ensemble-training program, and a master class series for New Mexico School for the Arts students. The 2014-2015 Season is partially funded by the City of Santa Fe Arts Commission, the 1% Lodgers Tax, and New Mexico Arts (a Division of the Department of Cultural Affairs).